The Leek Wootton History Group was established in 1999 by a group of residents in order to write a history of the Parish of Leek Wootton & Guy’s Cliffe for the Millennium. ‘Leek Wootton and its Hamlets’ was published in October 2001 and was very successful. To research and publicise the history and development of the Civil Parish of Leek Wootton & Guy’s Cliffe. To maintain a living archive of the Civil Parish, including all media. To advise and help individuals, both within the community and outside, having similar interests. To share information and work with other organisations with similar aspirations. To support and organise events, exhibitions, displays of local history for the benefit of the community. To support any worthy efforts with positive implications for local history. To publish books, leaflets or other work. To extend any of the above activities as opportunity may arise. Since 2001 the History Group has continued to pursue interests in the history of the local area on an ad-hoc basis; including compiling a living archive, assisting local and family historians, continued promotion of its publications and a mutually advantageous involvement with Warwickshire County Record Office’s Outside the Box project. In 2006, due to popular demand, the History Group published Leek Wootton and its Hamlets on CD and regularly buys back copies of the book for resale. In 2009 it published Mary Wise’s Recipe Book in partnership with Outside the Box, with grant support from The Heart of England Community Foundation. In 2011, coinciding with Warwickshire Police’s decision to leave its Headquarters in Leek Wootton, a booklet about the building they have used for 62 years, A History of Woodcote was written by the History Group Chairman, Paul Eldridge. In 2012 we published Doreen’s Diary: She could not have loved more as part of a HLF supported project. 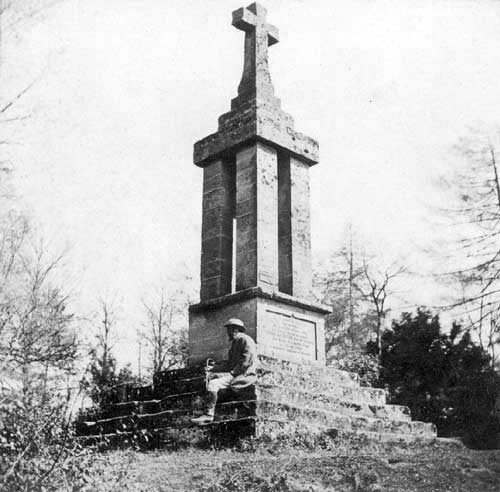 In 2014, 100 years since the start of World War I, the History Group has published the stories of the 18 men named on the war memorial tablet in For God and Right and Liberty.